It might go farther, too. 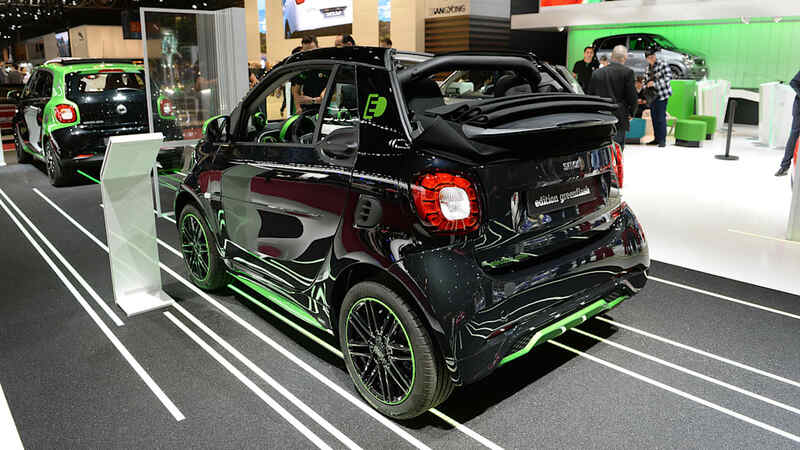 Two years after the reveal of the redesigned ForTwo, Smart has unveiled its electrified sibling in European guise. 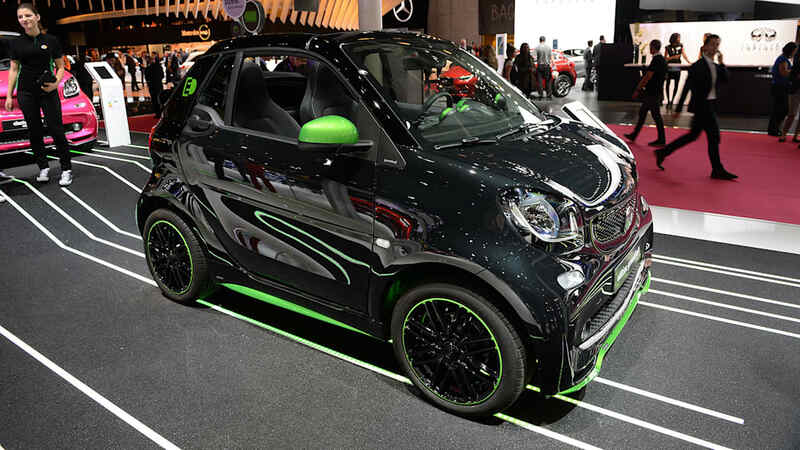 The ForTwo Electric Drive (ED) will once again be available here in coupe and convertible variants, and it does offer some improvements over the previous one. 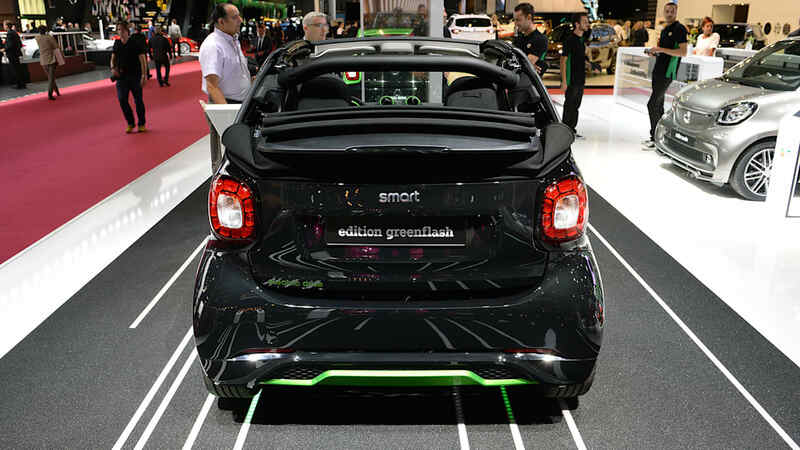 Smart also introduced an electric ForFour for the first time as well, but like its gasoline counterpart, it won't come here. 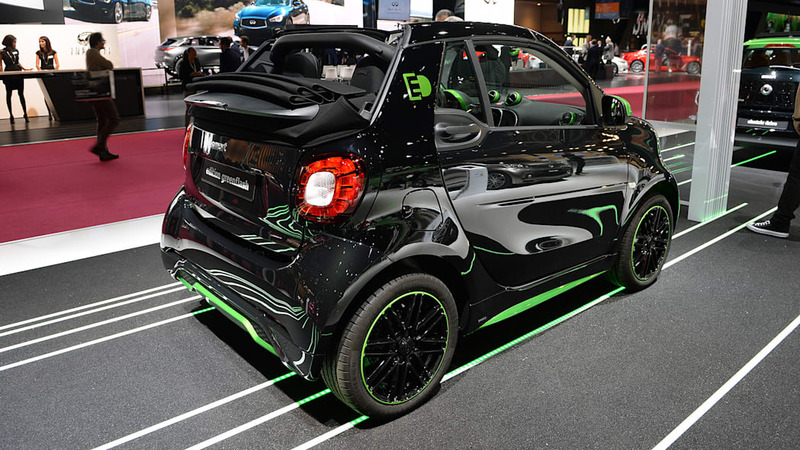 The biggest improvement the new ForTwo ED has over its predecessor, besides the better looks and chassis, is a much faster charging time. 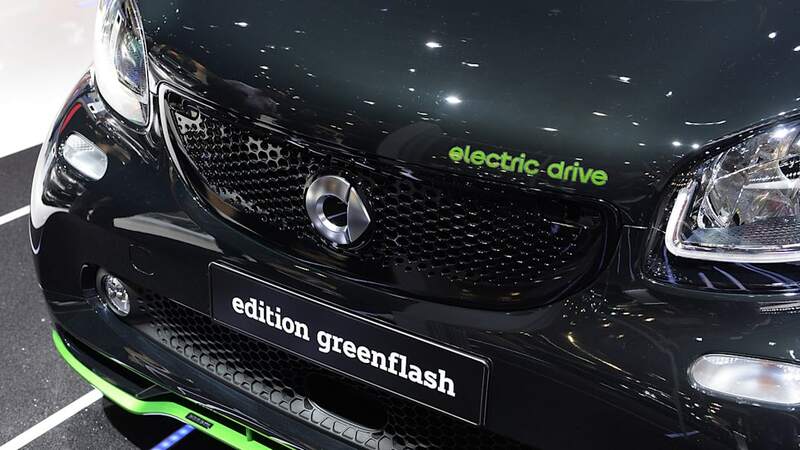 The car now uses a system that allows for a full charge from a 240 volt household charger in just two and a half hours. The previous model took roughly six hours to do the same thing. The car itself is a smidge faster as well. The rear-mounted motor now produces 80 horsepower and 118 lb-ft of torque compared with the 74 horsepower and 96 lb-ft of the outgoing car. On paper, it is ever so slightly quicker with a claimed 0-60 time of 11.4 seconds for the coupe, which is one tenth quicker than the old coupe. The top speed is also up by 3 mph. 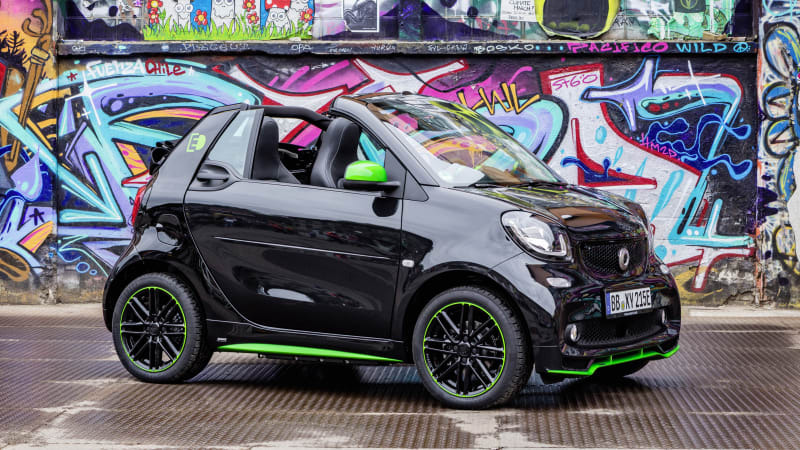 As for the all-important matter of range, Smart gave a rating of 99 miles on the European test cycle. Compared with the previous version's approximately 90 mile range, it has a 10-percent improvement. 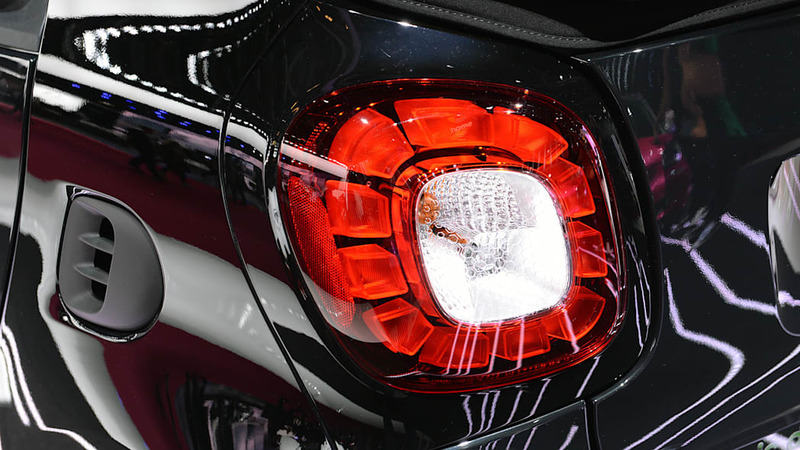 On the US test cycle, the old ForTwo ED has a range of 76 miles. So we can expect a range of about 83 miles assuming the 10-percent increase carries over to our test cycle. 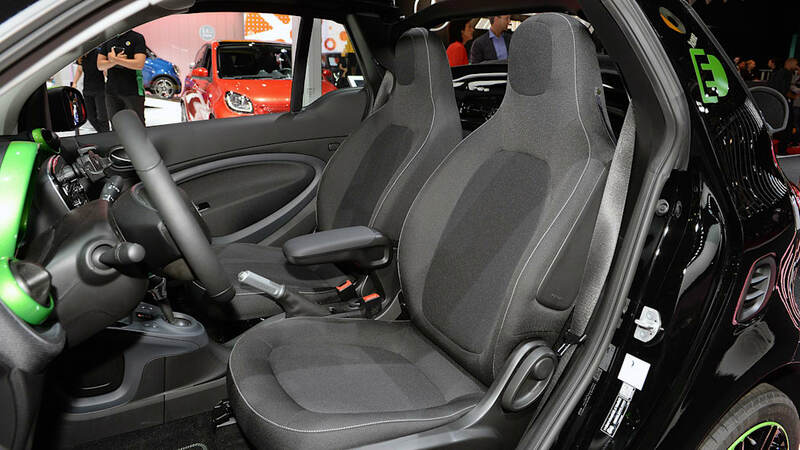 The new ForTwo ED also brings along other features from its predecessors. 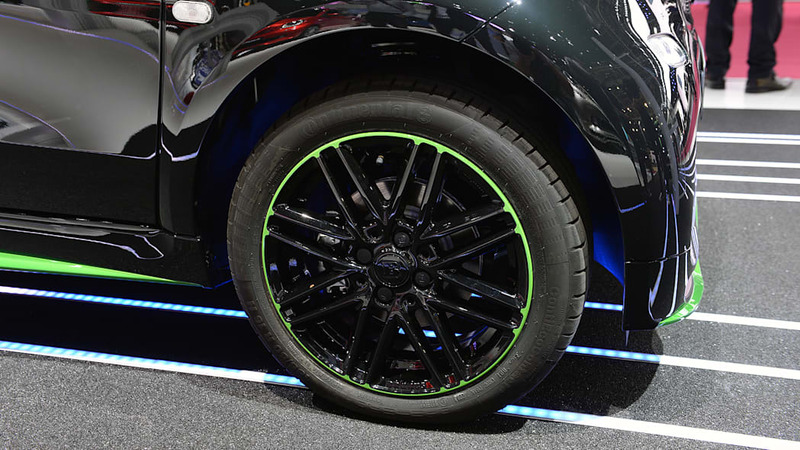 Once again, it will be available with exclusive Electric Green safety cell and mirror cap accents. 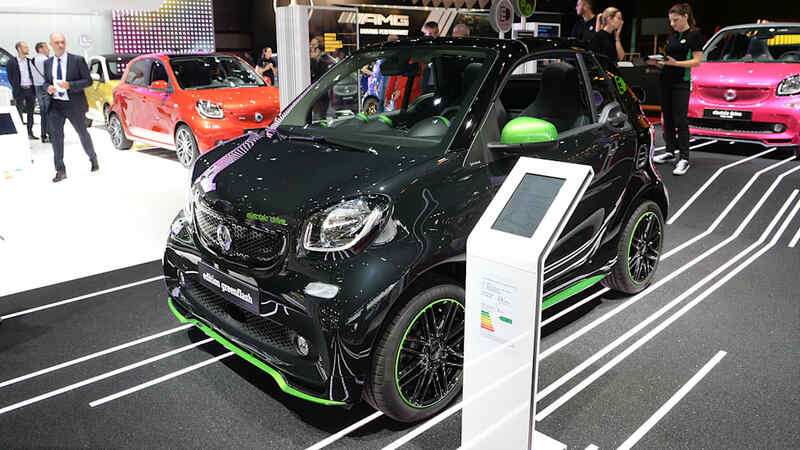 Take note, however, that the Brabus appearance parts on the cabriolet pictured here are only available in Europe. 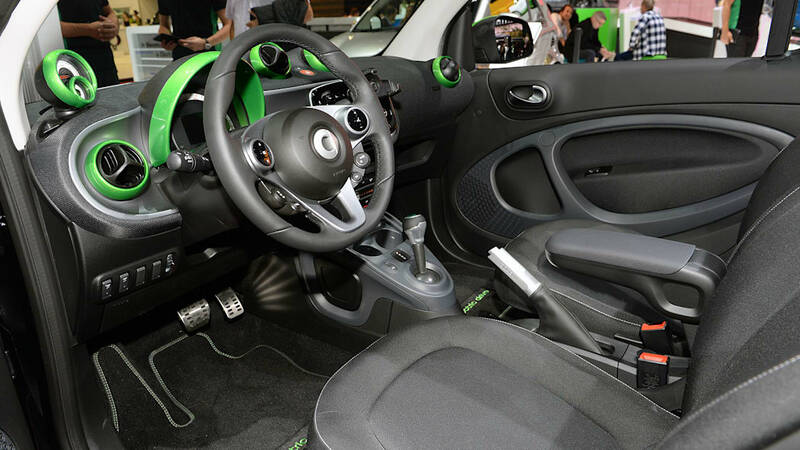 The car will also be compatible with the Smart Control app. Not all of the features for the app have been finalized for the US yet, but, in its current iteration, it allows owners to find places to charge, monitor charging and adjust charging and climate control settings from a computer or phone. 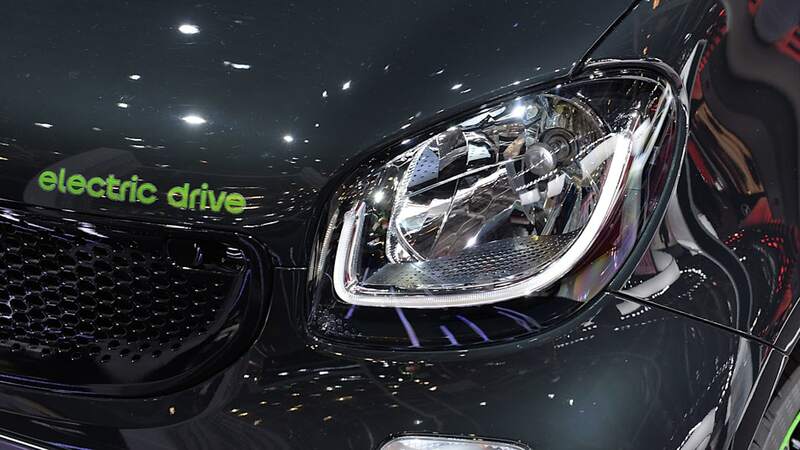 The climate control features allow the driver to set a departure time and temperature, and the car will adjust the cabin while plugged in instead of using precious battery power. The charging settings offer the option to let the car adjust charging based on peak usage, which could lead to a longer charge, but one that doesn't cost as much. 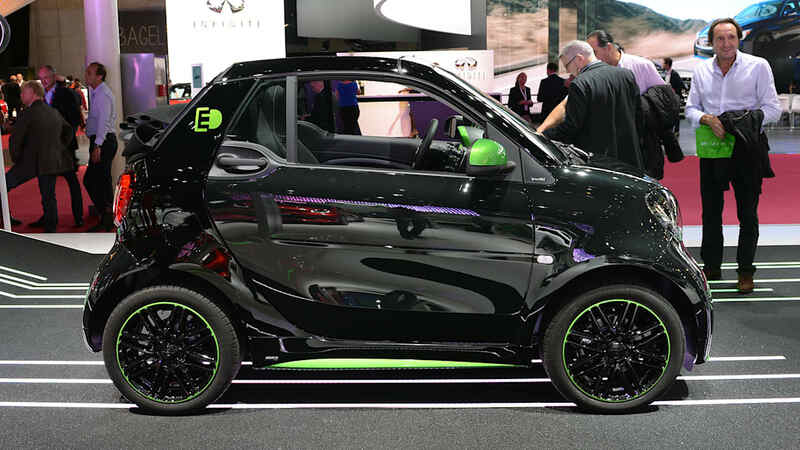 One thing we don't know about the ForTwo ED is price, which Smart did not reveal. However, the current coupe starts at $25,750, so expect pricing to be similar and probably slightly more expensive. The coupe will start arriving on dealer lots this coming spring, and the convertible will show up in the following summer.